The Maldives are the most beautiful holiday destinations in the world. If you are planning your honeymoon vacations, Maldives are the right choice as they have a very romantic experience to offer. It is a luxury island claiming to be best for couples. The country has a wide range of parks and marine restaurants. The capital of the Maldives is Male and it is one of the most beautiful capitals around the world.The resorts and restaurants in the city are worth visiting. The opening of a Grand Park named Khodhipparu elevated the beauty of the city just recently. The resort is an all-villa luxury resort and comprises of approximately 120 luxury villas. Other beautiful cities are Addu City, Mula, and Maroshi. The Islands of Maldives offer white sand beaches, tall palm trees, and a lovely weather. It considered to be a heaven on the face of the earth. Although, the country is said to be quite expensive but the contemporary tourism position of the islands has changed over the recent years. The country has opened up its tourism. Other than the expensive resorts and restaurants, the locals are now allowed to openup their own private guestrooms and hotels. This has allowed the Maldives to become more economically viable for traveling. To lessen the burden off your budgets, TravelWideFlights is offering cheap flight tickets to Maldives from United Kingdom. 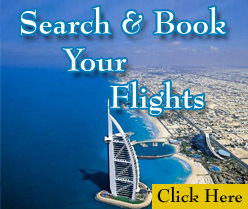 You can contact us for last minute flights tickets to Male. 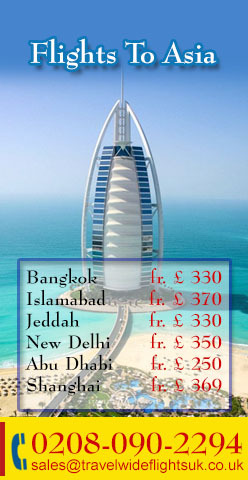 Our clients can travel with the international Airlines including British Airways, Qatar Airways, and Turkish Airlines. We can help you with bookings and reservations at most famous resorts in the country.